Before starting The (Manchester) Modernist Society, founders Jack Hale and Eddy Rhead (with Maureen Ward) consulted business models from three organisations: the Women’s Institute, the Scouts and the Mafia. Nearly a decade later, the two preside over a growing family of city Chapters. They are a classic double act: one clean shaven and understated, the other bearded and ebullient. “What happened was we were pootling along very nicely by ourselves for about five years, working in isolation, just doing our own thing,” explains Eddy, the bearded, ebullient one. A development they always sought to encourage, it was merely a lack of resources – the Society remains a two-handed to mouth operation – which meant the pair had to wait for interested others to contact them. “Also we didn’t want to impose ourselves,” interjects Jack sotto voce. 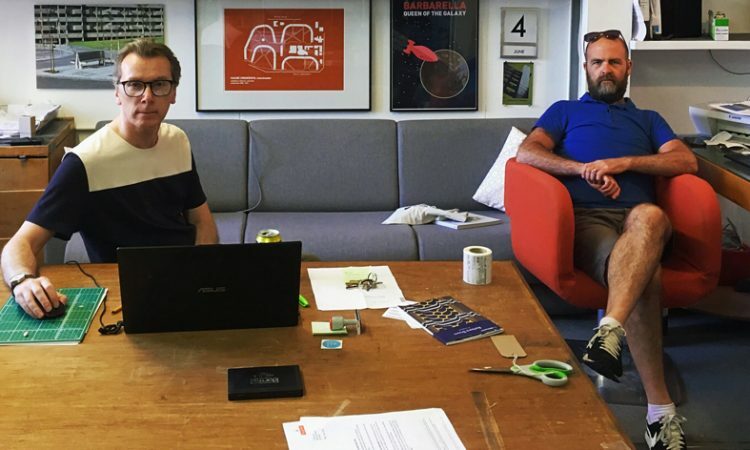 Jack and Eddy think it a reasonable expectation for the other chapters to organise at least four events a year, but stress it is only a notion. 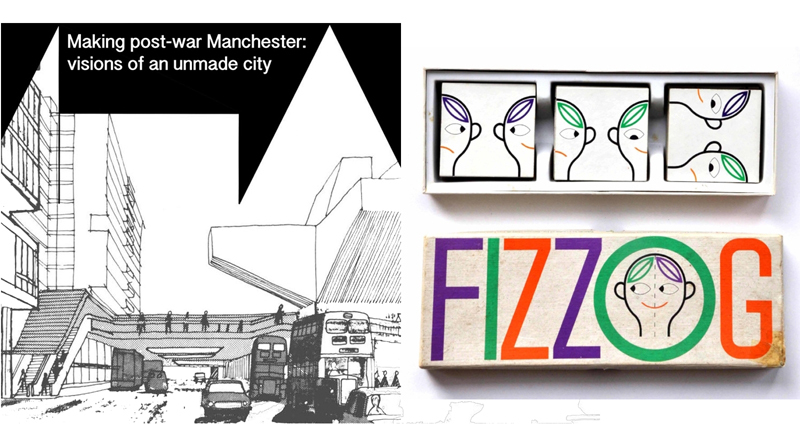 A cursory glance at the Society’s October Events reveals a walking tour based on an exhibition of drawings by architect Gordon Hodkinson, an Architecture Weekender in Sheffield and a screening of archive films about New Towns. Add to this a quarterly printed magazine, a nice line in small-press limited editions about 20th century architecture and design, plus some cool prints and t-shirts, and it is clear the Society sets its bar deliberately high. Richard Brook and Martin Dodge’s 2016 Making Post War Manchester exhibition is a case in point. Part of the reason for our meeting is to sound out one another about setting up a Leeds Chapter of the Society. It does seem strange that while Liverpool, Birmingham, Sheffield – even Croydon – each has a dedicated group, Leeds does not. “It’s about place and humans,” says Eddy. 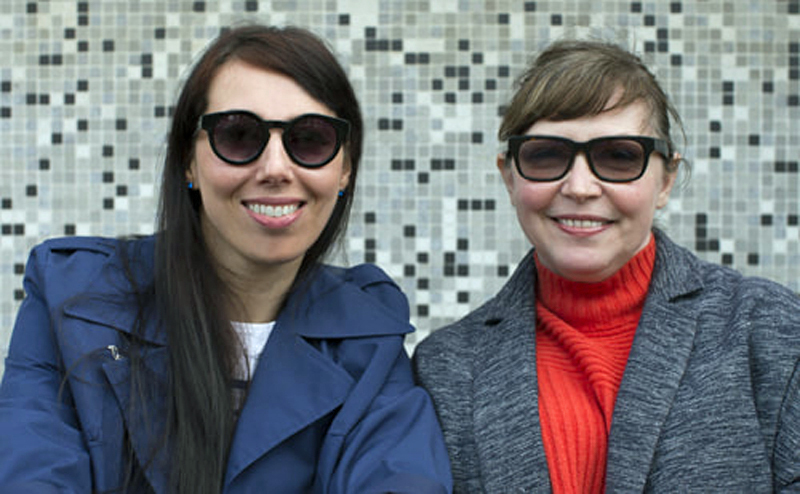 Our upcoming shindig with Colours May Vary launching the Leeds Modernist Society takes its cue from this last point being a live Q&A with Esther Johnson and Leigh Bird about their social history film and exhibition project, Ships in the Sky. Growing out of the campaign to save the late Alan Boyson’s murals for the Hull Co-operative Department Store, it chimes with one of the Modernist Society’s earliest campaigns to save another of the ceramicist’s murals, Tree of Knowledge at Cromwell Road School in Salford. The free launch event in Leeds promises to be very special indeed, but it is a toe in the water. The CV is throwing down the gauntlet to those who have expressed frustration in the past (i.e. 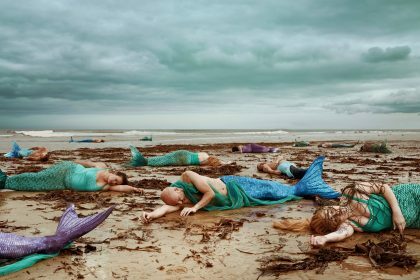 moaned) at the lack of a Leeds Chapter of the Modernist Society. We owe a huge debt of gratitude to Andy and Becky at Colours May Vary for saying Yes without flinching when we asked them. 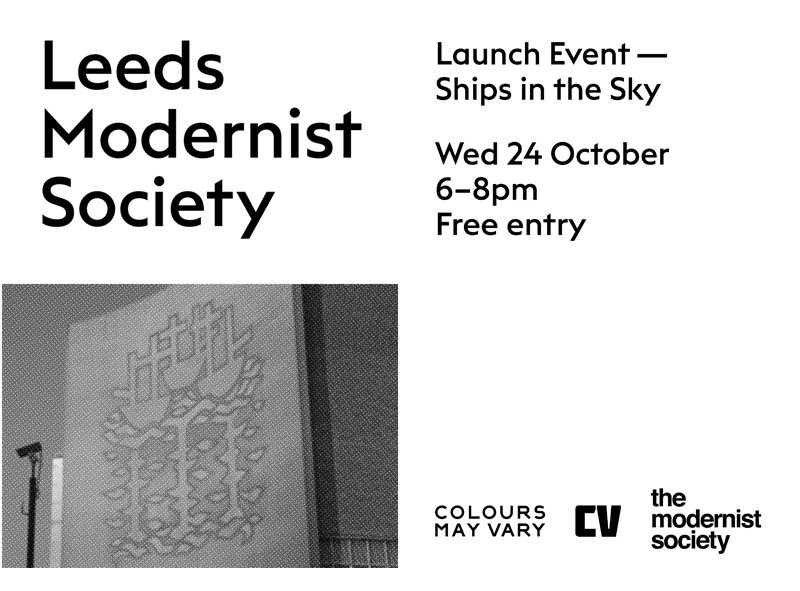 Leeds Modernist Society Launch | Ships in the Sky is at Colours May Vary, Munro House, Duke Street, Leeds on Wednesday 24th October 2018 at 6.00 pm. FREE EVENT (suggested donation £3) but booking is essential via here.